Posted March 19, 2015 by Elliott Brennan & filed under City News, CITY NEWS. 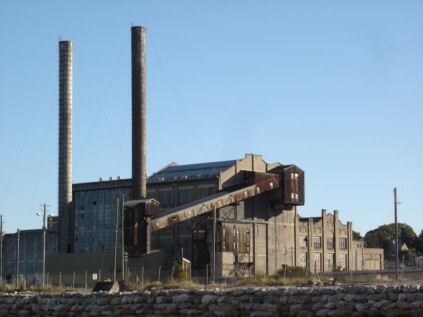 Calls for making innovative use of the old White Bay Power Station have risen with development of the controversial Bays Precinct drawing closer. The building has not been in operation for over 30 years and residents and politicians have said it could be an asset to the community if developed in the right way. Independent Leichhardt councillor John Stamolis said the building’s heritage opens it to an array of opportunities. “This is a key site in the Bays Precinct because it’s an existing site, it’s a heritage site, and it will be part of the vision of the Bays Precinct,” he said. The coal-fired station was built to serve the power requirements for Sydney’s tram and rail expansion in 1912. Production on the site ceased in 1983 and the Sydney Harbour Foreshore Authority (SHFA) bought it in 2000 for around $4 million. Since then, the site has been empty except for the occasional use, the most recent being the filming of some scenes of Baz Luhrmann’s The Great Gatsby. The SHFA’s website said, “potential future uses are being developed” as part of the Bays Precinct. Architect Robert Dodgson has been working on development plans since he was a student at Sydney University, when he completed an assignment to redevelop Ultimo. Mr Dodson said the site should be utilised for innovation, and warned against a Mirvac-style development. “I think they should find something exciting and innovative to do with it. You don’t want to be putting multi- storey apartment blocks which hug the waterside and take away the amenity of that area; a bad situation will happen,” he said. Greens MP Jamie Parker said the area surrounding the site would undergo significant change in the near future and the implications of its development would be far reaching. “We need to have a broader discussion about this site as it’s not just Balmain that it affects,” Mr Parker said. Clr Stamolis said that no matter how the site was developed, the community must lie at the heart of it. At last week’s Balmain candidates’ forum, Labor candidate Verity Firth listed renewable energy as a possible future use of the site. Ms Firth said the site’s history as a coal-fired power plant made the idea of a renewable energy hub attractive. Mr Dodgson said that now was the time to act in order to make use of the site’s potential. “It’s just such a brilliant opportunity and if there isn’t some group who takes control it’s just going to be lost,” he said.